Maybe you’ll like Mad Max more than Kotaku’s Chris Suellentrop did, and if you’re gonna be playing on the PC, I’ve got some good news. Warner Bros.’ track record with the PC lately is not so great. While Shadow of Mordor was excellent, Mortal Kombat X and Batman: Arkham Knight were both trainwrecks. With Batman, the outcry was so vocal that Warner Bros. was forced to stop selling the PC version and assign a bunch of people to work on a major patch for the game. Months later, the game still isn’t being sold on PC, and said patch has been vaguely promised to arrive in a few weeks time. You can imagine why I approached the PC version of Mad Max with some...trepidation. 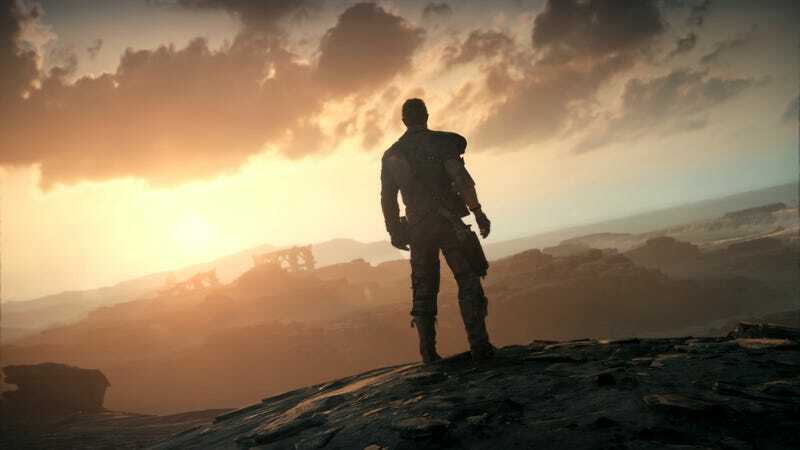 After spending an hour roaming the wastelands, though, it appears developer Avalanche Studios has delivered what PC owners are looking for: flexibility, customizability, and attention to detail. A PC version is not rocket science, but it requires care to make sure it’s on point. At high settings and 1080p, the game runs at a rock solid 60 frames-per-second on my machine, with the occasional dip when the game’s loads a new area. I suspect that has more to do with not installing the game on an SSD, and the “dips” I’m referring to are from 60 FPS to 54 FPS. This is definitely not Arkham Knight, where simply traversing the city or hopping into the batmobile could tank the game to sub 20 FPS. Hand-to-hand combat in Mad Max? 60 FPS. Blowing up vehicles with your car in Mad Max? 60 FPS. Exploring the desert landscape in Mad Max? 60 FPS. Granted, Arkham Knight is a much better looking game than Mad Max, but that means very little if you can’t enjoy playing the game. I have no idea if Mad Max is worth playing yet—the first hour of an open world game is always weird—but when I get around to it, I’m psyched the experience won’t be actively hampered by endless frame rate issues. The launch has not been without a few problems, though. Some Steam users are reporting crash issues and a few are saying the game won’t launch at all. I haven’t encountered any of this, and it seems to be pretty isolated so far. (I’m keeping an eye on it.) As with any new PC game, make sure to update your drivers; doing so can make a big difference. Let me know how it’s been for you, of course! With PC gaming, you can never be totally sure.